Those pesky servers are still down — catch up on all that Battle for Azeroth-related story with another encore Know Your Lore! Far to the north in the Eastern Kingdoms lies Tirisfal Glades. Withered forests are haunted with lingering remnants – the centerpiece of a once-glorious kingdom that spanned the northern reaches of the continent. In the deathly quiet that remains, the ruins of a city sit, ponderous and entrenched in history – a tragic tale that spans the course of two wars. 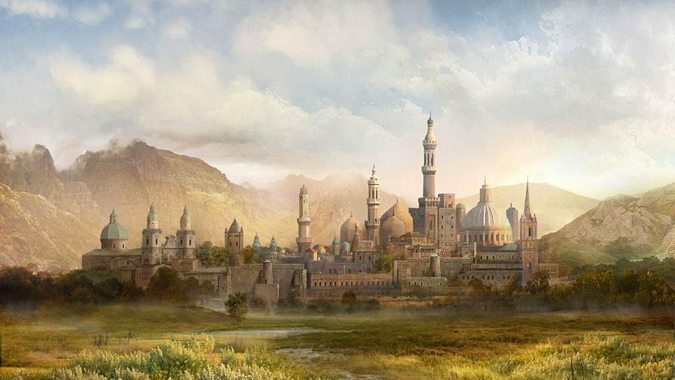 Lordaeron – or Capital City – was once a progressive, bustling center of Humanity, a beacon of the Light and the faithful. 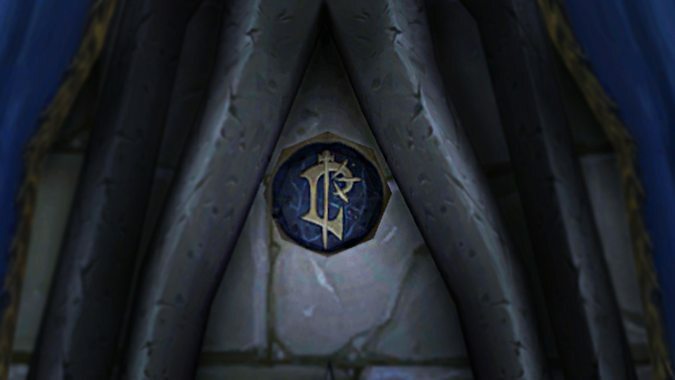 Without Lordaeron’s initiative, the Alliance as we know it would not exist today – which makes its fate all the more disheartening. For in the heart of Humanity’s bastion, death lingers on, perpetually tainting a city where the Light once shone its brightest. Lordaeron takes its name from a General who lived in the Tirisfal Glades 2,800 years before the Dark Portal. King Thoradin, leader of the Arathi Tribe, sought to unite Humanity – and General Lordain and his tribe were pulled in on that plan. They became part of the Kingdom of Arathor, and Lordain soon rose to become one of Thoradin’s trusted generals. As a general, Lordain’s leadership and his highly disciplined troops were invaluable in occasional skirmishes against the Amani Trolls. Along with Ignaeus Trollbane, Lordain was sent to investigate the source of the continuing skirmishes. Although they discovered the Amani and the High Elves were at war, Arathor chose not to intercede. Eventually the kingdom was approached by the High Elves and offered a deal – one hundred Humans would be taught the secrets of magic, in exchange for aid. 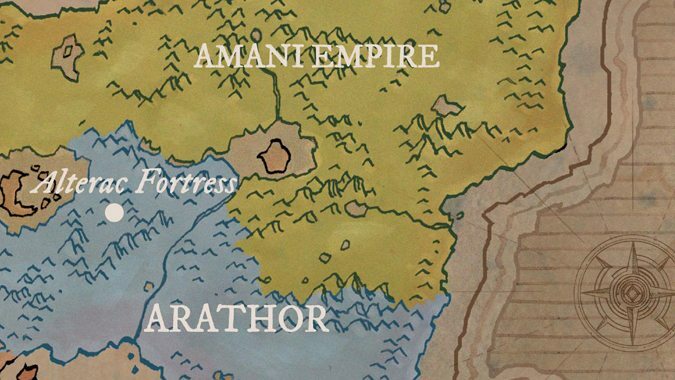 Thoradin agreed, and the Kingdom of Arathor joined the Troll Wars. Lordain would not see the end of that war. During a strategic retreat, Lordain and five hundred of his men offered to stay behind and keep the encroaching Amani at bay while the others escaped. It was a suicide move, and Lordain knew it. But he hailed from Tirisfal – where legends of Tyr’s sacrifice, and living up to that ideal, were instinct. Lordain and his army died a noble death, but their memory would live on in legend for millennia. The ideal that Lordain cleaved to, the one his people learned from Tyr’s example – self-sacrifice for a greater cause – lived on, permeating throughout a united Humanity. In the years after the Troll Wars, some of Arathor’s soldiers returned to Tirisfal to settle, creating a central stronghold. They called it Lordaeron, in Lordain’s honor. Eventually, the great Kingdom of Arathor began to splinter into seven kingdoms – Dalaran, Alterac, Gilneas, Stormwind, Kul Tiras, Stromgarde, and Lordaeron. Each had its own ruler or ruling council. In Lordaeron, the royal Menethil family ruled for generations. Its last king was Terenas Menethil II – a wise, just and beloved ruler, according to his people, who saw years of peace and prosperity under his reign. After the First War left Stormwind in ruins, refugees from the fallen kingdom fled to Lordaeron. King Terenas heard what Lothar had to say, and orchestrated the Alliance of Lordaeron. Unity was needed among the seven kingdoms if they ever hoped to defeat the Orcish Horde. In the end, the Alliance succeeded, winning the Second War. Orgrim Doomhammer was not killed, but captured – the leader of the Horde taken to Capital City. As a staunch proponent of peace, Terenas hoped to forge some kind of treaty with the former Warchief. Terenas was also the one who wanted to keep the orcs in internment camps, instead of killing them outright. He thought if they were kept pacified for long enough, the Orcs would eventually lose their thirst for conquest. But Terenas’ benevolent spirit would prove the Alliance of Lordaeron’s undoing. One by one, the other kingdoms began to withdraw. First, the Elves of Quel’Thalas withdrew, blaming the Humans for not saving their forests. Then Greymane removed Gilneas from the picture, followed by Trollbane and Strom. Still, the Alliance continued on – fewer in number, with only Kul Tiras, Dalaran, Stormwind, and Ironforge pledging their support. But Terenas also had the Silver Hand on his side – his son, Arthas, eventually became a member of the order. 12 years after the Second War, a plague appeared in Lordaeron. No one was quite sure where it originally began, but it quickly filtered its way through the kingdom, leaving a trail of devastation in its wake. In Capital City, Terenas was visited by a mysterious prophet, who told Terenas to take his people, abandon Lordaeron, and flee to Kalimdor. Terenas ignored the warning…and sealed his own fate. For his son, Arthas, was in the midst of investigating the plague, and discovered the existence of the Scourge. Over the course of his travels, Arthas changed, gradually falling to darkness. The strange tales of Arthas’ journey reached Terenas, who ordered the troops recalled at Uther’s request – but not a word was heard. Arthas and his troops had gone to Northrend, and from Northrend, there was only silence. Eventually, Prince Arthas returned – triumphant in his victory over whatever he’d found in the frozen north. The bells of Capital City announced his arrival, a shower of petals raining from the parapets, welcoming Lordaeron’s lost son home. 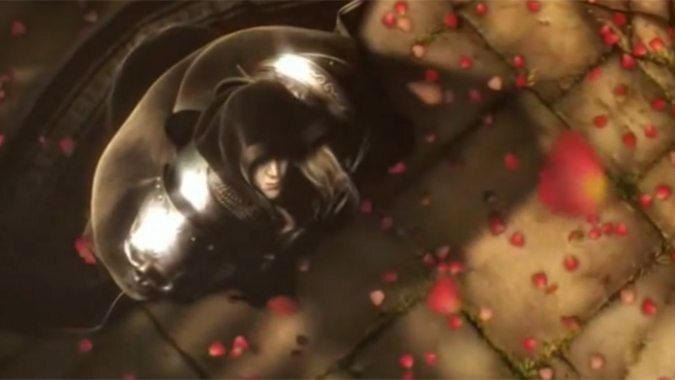 But as Arthas knelt before Lordaeron’s throne, a dark voice flooded his thoughts. He rose, drew his newfound blade – Frostmourne – and grasped his father, King Terenas by the throat. Ignoring his father’s pleas, Arthas ran him through. His crown left a bloody trail that’s still visible today, in the ruins of the throne room. In that single horrifying moment, so too did the Kingdom of Lordaeron die. What does it mean to be Scourge? It means a loss of will so profound that one loses all sense of identity. Or at least that’s what it meant in the days of the Third War. Arthas discovered a horrifying truth when he investigated the plague. The undead hordes that ravaged his father’s kingdom were not new arrivals. They were citizens, robbed of their lives and reborn as mindless atrocities. These creatures served one voice, and one alone – the Lich King, trapped upon his Frozen Throne. Arthas, too, served this creature – the dark voice that bade him kill his own father. With Terenas gone, the kingdom fell into chaos. Unimpeded, the Scourge proceeded to wipe out what remained of Lordaeron. Its ranks swelled with each death – corpses were raised with impunity, and the Lich King’s plans were successfully carried out. Yet in each rotting carcass that tore its way through living flesh, a Human soul once lived. Lordaeron fell – to the Burning Legion, perhaps in some degree – but more importantly, to the decaying hands and blinded minds of its own citizens. But the Lich King’s iron will was not absolute. After the Third War, the Lich King’s control over his minions faltered. Where once had been mindless Scourge was now…something other, something free-willed. 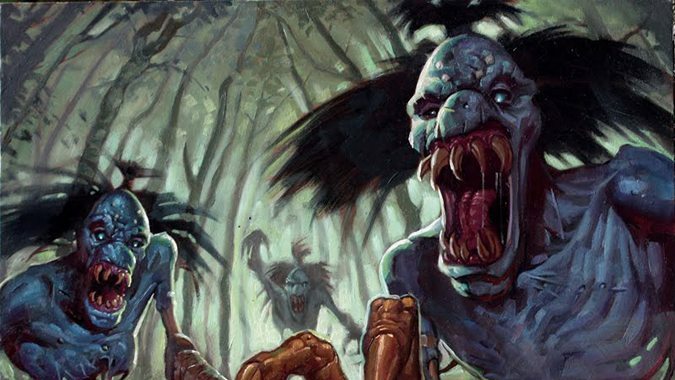 With that free will came a horrifying wash of memories – atrocities they had committed, faces of people they’d killed, the damage they’d done while under the Lich King’s thrall. Lordaeron woke up. And its former citizens were scant shadows – withered, rotting husks of what they once were. In the wake of these memories, some went mad. For in between the painful flashes of a beloved kingdom falling to ruin was the slow realization that there was no way they could ever reclaim their former lives again. This is why Sylvanas’ call was so inviting. In a cold, unwelcoming world, in the face of a future so bleak as to drive one to madness, Sylvanas rallied them all. She offered them solace. She offered them safety. Most importantly, she offered them the most tantalizing thing of all – the opportunity for revenge, and the means to carry it out. She was a beacon of certainty in a world that was incredibly uncertain – little wonder the free-willed flocked to her side. And together, they took back Capital City, reclaiming Lordaeron for their own…to a degree. 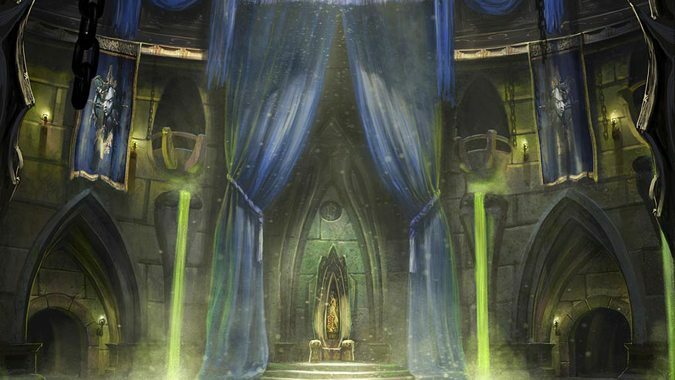 Rather than settle on the corpse of Lordaeron’s capital, the Forsaken built a citadel beneath it, in the old catacombs that used to house bodies of fallen royalty, hold prisoners in its dungeons. 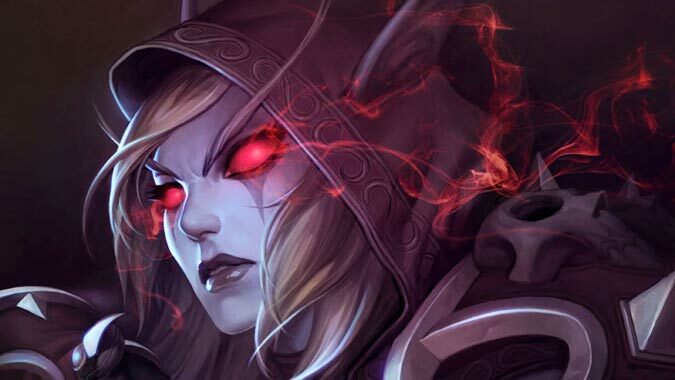 Sylvanas led her people as promised, keeping them united as finely tuned arrows in her quiver, pointed with deadly accuracy at any who would cross them or deny them their right to exist. For there were those horrified by the very presence of the Forsaken. There were those who would tear them down, hunt them and hound their every step. Some among the living were from neighboring kingdoms. Others, former citizens of Lordaeron in their own right – now bent on eradicating the creatures they once called kin. Through Sylvanas’ guiding hand, the Forsaken eventually had their vengeance; the Lich King fell as promised. The kingdom of Lordaeron was once a bastion of prosperity and peace. Its people were dedicated to righteousness, to the Light, to that concept of self-sacrifice first demonstrated by Tyr in legends of old. Its capital city was a safe haven where all were welcome, its leader a just and fair King who tried his hardest to see the best in people. In one fateful moment, king, kingdom, and capital city all met their end. Yet just as the Forsaken were reborn…so was Lordaeron. It exists just as its citizens do, in a state of perpetual decay. Neither alive nor dead – simply mired in a pitiful place somewhere in between. Never to return to its former glory – and never truly allowed to rest. For beneath its crumbling walls and once-proud parapets, the haunted shadows of Lordaeron linger…eternal in undeath, haunted by memories of the brilliant kingdom that once was.